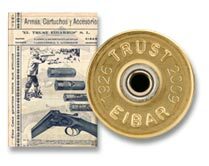 TRUST has offered the utmost quality and reliability in shotgun shells since 1926. TRUST is a well stablished company with shotgun shells present in more than 30 countries, but we are interested on new distributors to expand our horizons. Contact us if you think that you can help us!